ONLY 5 DAYS LEFT TO ORDER! Posted in CHS Band and tagged #trojangold, Carrollton High School Band, Carrollton Trojan Band Boosters, CHS Band Program, CHS Color Guard, CHS Winter Guard, Trojan Band Shoppe on November 30, 2017 by CHS Trojan Band. It has been such an honor to cheer on our Mighty Trojans! What a great season! Congratulations to all of our football players and the athletics staff for an awesome year! We look forward to next season! I hope that each of you had a fabulous Thanksgiving and spent time with those you love! We have a few more events before Christmas! This Thursday, November 30th, the band will participate in the Carrollton Holiday Wishes Parade. The parade begins at 5:30 pm. The route is different this year so please refer to the attached photo. ALL marching band members will need to secure a traditional Santa hat to wear for the parade in addition to their marching band uniform. Want to help decorate the Trojan Band transfer truck for the Christmas parade? Do you have any extra lights, wreaths, garland, etc., that we could use to decorate with? Join us tomorrow, Monday November 27th from 5:30 – 7:30 pm at the band room. Bring your decorations and Christmas cheer and let’s decorate for the parade!! Posted in CHS Band and tagged #trojangold, Carrollton High School, Carrollton High School Band, Carrollton Holiday Wishes Parade, Carrollton Trojan Band, Carrollton Trojan Band Boosters, CHS Band Program, CHS Trojan Band, CHS Winter Guard, Gold Standard on November 26, 2017 by CHS Trojan Band. 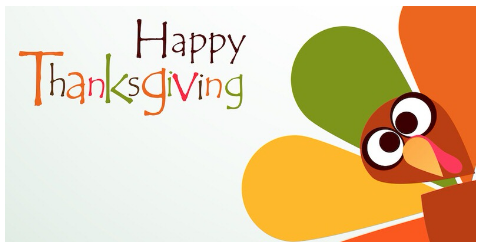 I hope that you all have a fantastic break and Happy Thanksgiving! 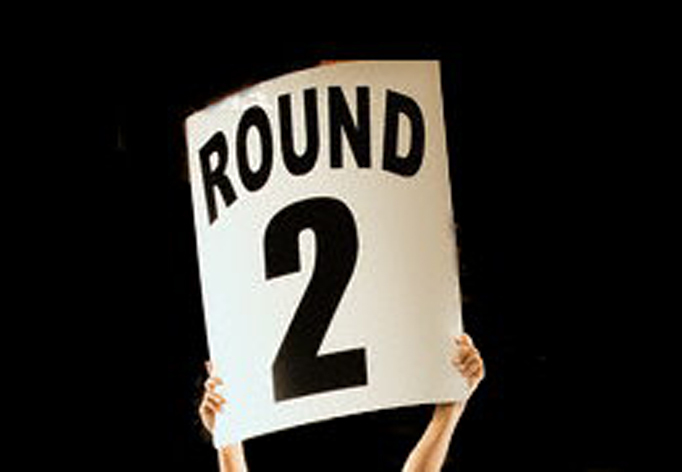 As you know, the mighty Trojans won their game Friday night and will now be playing in the quarterfinals against Warner Robins High School. Go Trojans!! Please note, the band will be performing their Veteran’s Day program so we will need LOTS of volunteers to pull the flag! We will need band parents (and others) attending the game to help! 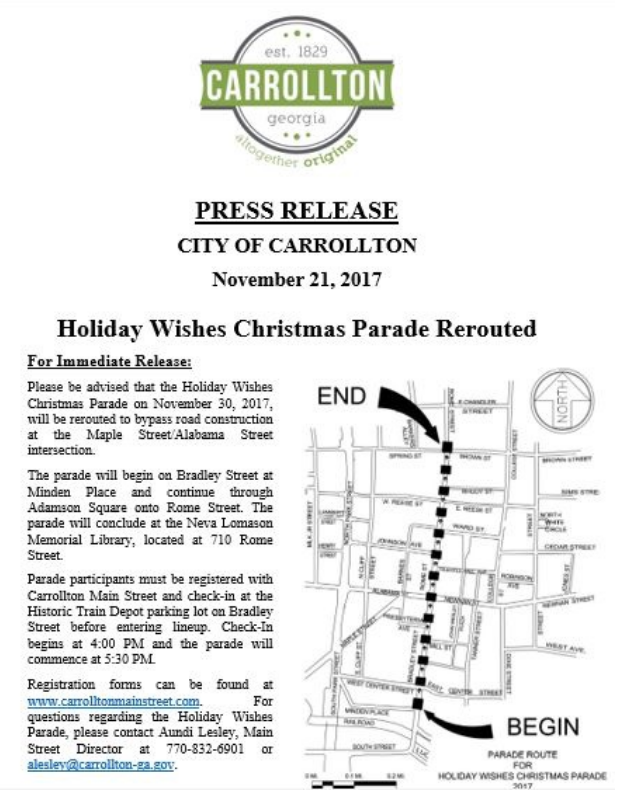 Quick reminder that the Carrollton Christmas Parade is approaching on 11/30/2017. Students will wear their marching uniforms and a standard classic red Santa Hat. Please start looking for one now to purchase. Customized or trendy hats are not allowed, please find a standard one. Thank you! What’s new in the Trojan Band Shoppe! All new hoodies and crewneck sweatshirts, including a new option for our COLOR GUARD, and additional youth sizing options added for our Trojan Band hoodie and crew! This is a limited time pre-order, now in progress, and will last till Tuesday, December 5, 2017 at midnight, in time for delivery prior to Christmas break. Trojan Band sweatshirt options are currently available on the web store, and color guard sweatshirt options will be available tomorrow November 20, 2017 through December 5, 2017. Order forms will be available at the Don Hall Band Room display after Thanksgiving Break, as well as the Carrollton Middle School concert Monday, December 4, 2017, and the Carrollton Junior High School concert Tuesday, December 5, 2017. The Trojan Band Shoppe will be in the lobby of the Mabry Performing Arts Center for both events. 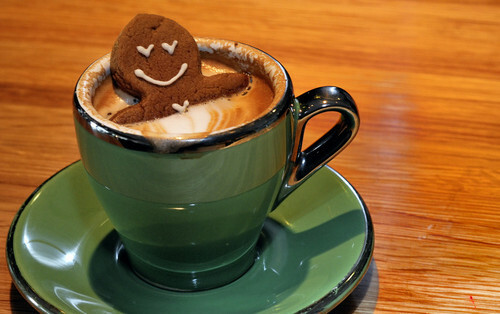 We hope you have a wonderfully peaceful, stress free holiday enjoyed with family, friends and lots of delicious food! Happy Thanksgiving Trojan Band family! Posted in CHS Band and tagged #trojangold, Carrollton High School, Carrollton High School Band, Carrollton Trojan Band, Carrollton Trojan Band Boosters, CHS Band Program, CHS Trojan Band, Trojan Band Boosters, Trojan Band Shoppe, Trojan band spirit wear on November 19, 2017 by CHS Trojan Band. Please be aware that the game will be played at Hallford Stadium! Please sign up to help if you can!! We need more volunteers! You asked, and we have been listening! Look for a full announcement of all of our pre-order items coming this weekend. Items will be available just in time for Christmas delivery! Pre-order period begins today through Tuesday, December 5, 2017 at midnight. Some items are available now for pre-order! 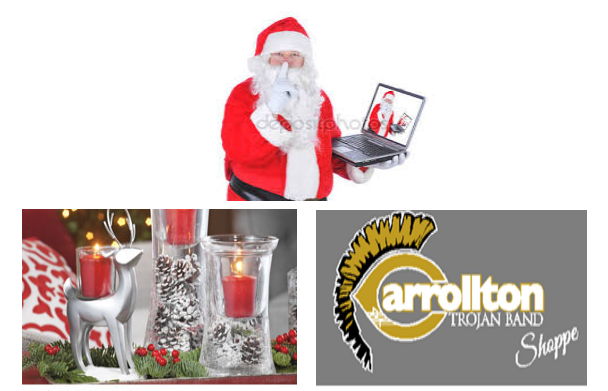 Posted in CHS Band and tagged All-In-One Sale, Carrollton Trojan Band Boosters, GHSA Playoffs, Trojan Band Shoppe on November 15, 2017 by CHS Trojan Band.